Team Building – What’s in it for ME? Team building is what you need to do, you hear it all the time, Share the Opportunity, Build a Team, it’s wonderful, you need to do it. Building a team isn’t just a money thing (although that certainly doesn’t hurt). There’s so much more! But first, let’s talk about money. You get bonuses for recruiting, sponsoring and mentoring as you build your team. You get bonuses for moving up in title as you continue your own success. These can be from $500.00 and on up to thousands. Not to mention trips, and prizes. So if you could use some extra money (and probably a lot of extra money) maybe starting your own team is something you should do. 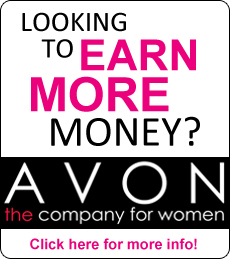 More exciting opportunities and development with Avon. Every day I enjoy the benefits of being able to help solve problems, answer questions, and generally getting to know and help new people that have quickly become good friends. This feeling has no price tag and I wouldn’t trade it for anything. Share the passion for Avon, invite others to see how the Avon opportunity can work for them and start building a team. Take the business you love to the next level.